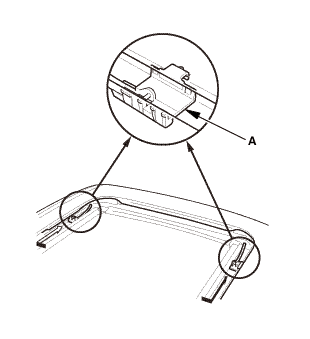 Remove both moonroof wind deflector links (A). 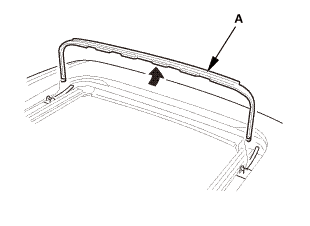 Remove the moonroof wind deflector (A). 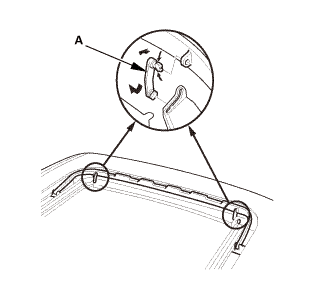 Remove both moonroof wind deflector arm bases (A). Install both moonroof wind deflector arm bases (A). 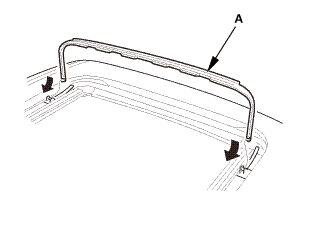 Install the moonroof wind deflector (A). 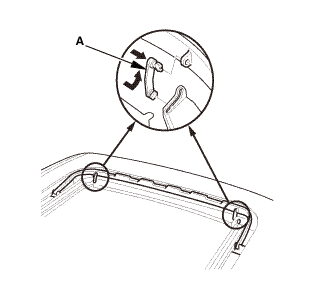 Install both moonroof wind deflector links (A).